Supergroups in rap music are few and far between, and rarely as successful as their respective artists are individually. Though they've been working under the Prime collective umbrella for the past several years, for the Prime Boys, made up of Jimmy Prime, Jay Whiss and Donnie, becoming a group was their best decision to date. 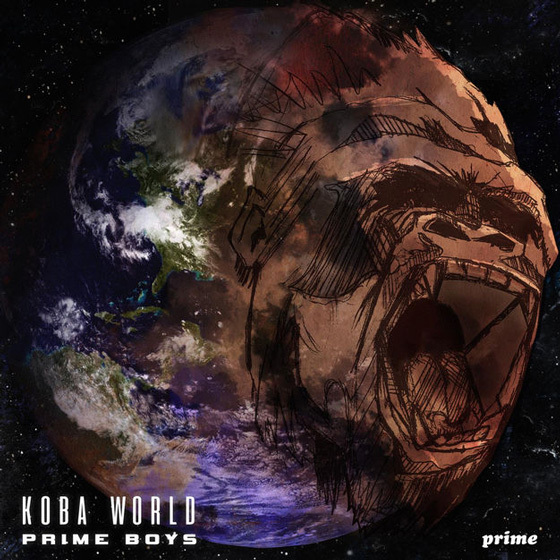 Koba World, named in dedication to their late friend and assistant manager Ernest "Kosi" Modekwe, serves as the first real introduction to the musical powers each member has. Jimmy Prime's melodic hooks, Donnie's uncompromising energy and Jay Whiss's gritty wisdom thread the 12-song album together, creating unity amidst the chaos. Adding to the cohesiveness of the group themselves is Canadian producer and longtime collaborator, Murda Beatz, who carries the bulk of production on Koba World. Dark, synth-heavy trap beats flow seamlessly into another, with the occasional break from songs like "See Through," an upbeat Afrobeat-infused song produced by Vancouver's Zelli Risk. Though the Prime Boys, in particular Jimmy Prime (who's credited with re-naming Toronto "The 6ix"), have been recognized by the likes of Drake, they live in a reality that they still has one foot in Toronto, and at times, the street politics that follow. While the hard-hitting "Emergency" and "Street Dreams" reflect that reality, "Tinted" and "Better in Designer" hint at a more lavish future and, at times, a future further away from Toronto.